A galactagogue or galactogogue (pronounced gah-lak´tah-gog) is something that can help a breastfeeding mother to increase her breast milk supply. The word itself is a combination of the Greek terms "galact-" meaning milk, and "-ogogue" meaning leading to or promoting. Herbs are commonly used to boost low milk supply, but certain actions, foods, and medications can help a breastfeeding mom make more breast milk as well. Do You Need a Galactagogue? Although many women worry about making enough breast milk, most women will not need to use a galactagogue. If your baby has a good latch, and you're breastfeeding on demand at least every 2 to 3 hours, you should make enough breast milk for your baby. However, there are some situations when a galactagogue is helpful. Make sure that your baby is latching on correctly. A proper breastfeeding latch allows your child to remove the breast milk from your breast efficiently. If you are not sure if your baby is latching on well, you should get help. Your doctor, a nurse, a lactation consultant, or the members of a local breastfeeding group can check your breastfeeding technique. Stimulate your breasts more frequently. The more you breastfeed or pump, the more you're telling your body to make breast milk. You can stimulate your breasts more often by breastfeeding your baby at least every 2 to 3 hours around the clock. You can also use a high-quality electric breast pump to pump your breast milk after or in-between breastfeeding sessions. If you are exclusively pumping, be sure to pump at least every 2 to 3 hours until your supply of breast milk builds up. When added to a healthy well-balanced breastfeeding diet, these milk-making foods are believed to increase breast milk and promote a healthy flow of milk to the baby. Whether seeped together into a soothing breastfeeding tea or added to everyday recipes, herbs have been used throughout history to support lactation. When necessary, a doctor can prescribe medications to create or build up a breast milk supply. Medications are often the last resort after the other options have failed. Prescriptions are most helpful if you'd like to nurse an adopted child, or if you want to start breastfeeding again after you have stopped for a while. They are also useful when you're pumping for a premature or hospitalized infant, and you have a low breast milk supply. Reglan (metoclopramide) and Motilium (domperidone) are two common prescription medications that may help increase milk production for lactation induction, relactation, and a true low milk supply. 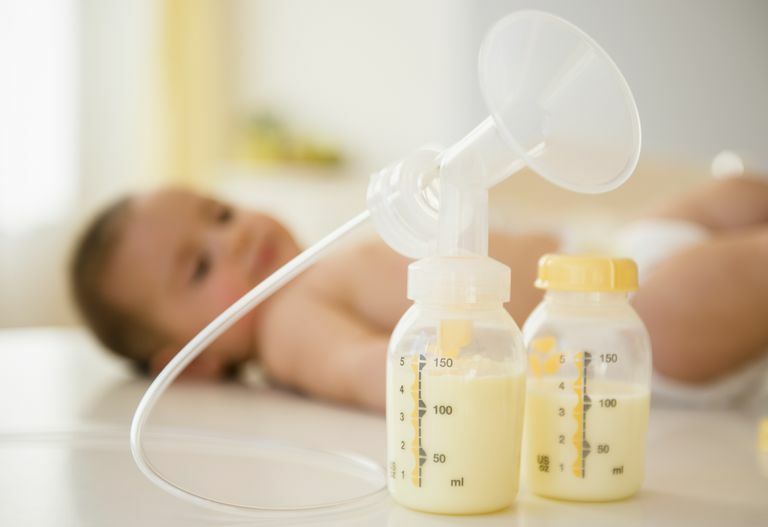 Other drugs such as Oxytocin nasal spray, Sulpiride, Thorazine, TRH, and Human Growth Hormone may also have a positive effect on breast milk supply, but they are not as commonly used. It's important to point out that galactagogues, on their own, do not necessarily work. A galactagogue can help to improve the amount and the flow of the breast milk from your breasts, but if you are not also removing that milk, your body will not respond in the way you expect. To see real results from a galactagogue, you must use it along with frequent breastfeeding or pumping. The safest ways to increase your milk supply are to try the actions listed above and add some lactogenic foods to your daily diet. And, since commercially prepared herbal teas and lactation supplements typically contain safe doses of herbs when they are taken as directed, they are not likely to cause harm. However, it's important to keep in mind that more is not always better. Herbs are similar to medications. In high doses, they can be dangerous and have side effects for both you and your child. If you have tried the actions and foods listed above, but you are not able to increase the amount of breast milk that you're making, talk to your doctor. If you have a true low milk supply, you need to find out the cause and try to correct it. You also want to be sure that your baby is getting enough breast milk, so take your child to her doctor for regular examinations and weight checks. It's also important to talk to your doctor or a lactation consultant before trying any medications or herbs. Not only can your health practitioner advise you on the proper dose of herbs, but she can help you determine which herb or combination of herbs will work the best for your situation. Then, if necessary, she can move on to the correct prescription. Galactagogues do not always work. It is possible that after trying the actions, foods, herbs, and even prescription medications listed above, you will not be able to increase your milk supply to the level you would like. Sometimes medical issues such as underdeveloped breasts or previous breast cancer treatments prevent the production of a healthy breast milk supply, and the body is just not able to respond to galactagogues. You can still try to increase your milk supply, and you can certainly still breastfeed for comfort and bonding. You may just have to supplement your child with additional nutrition, and that is perfectly okay.